About 6 weeks earlier, I had submitted the information requested as part of my nomination. And although I eagerly filled that out, I did not want to get my hopes too high on it as I knew that there is a really high bar of entry into the program. So I very much expected a “nice try, here is a list of things that you may want to do in the next year to give yourself a better chance. And…wow, what an exciting moment it was when I received that email! I had to read it a couple of times to make sure it said what I thought it said. I am so honored and humbled to join such an impressive group of people, many of who I’ve learned from over the years. Over the next couple of weeks I’ll have an orientation session where I’ll be able to understand the ins & outs of the program and start contributing. – Do you work for Microsoft now? No, although the title may lead to you believe that, RDs do not work for Microsoft. In some cases, Regional Directors or their companies may have contracts to deliver goods or services to Microsoft but they are not employees. So, yes, I will continue leading my awesome team at Nebbia and this will allow me to provide even more insight to our customers and more advocacy on behalf of our customers. – Are you still an MVP? Yes, I am still a Microsoft MVP, focused on ALM/DevOps. The key differences between RD and MVP really come down to the business consultative nature, customer experience, and cross platform architect skills possessed by RDs versus the deep technical focus which qualifies an MVP. I fall under both categories and I expect to be part of both programs. I look forward to continuing serving the community, speaking at conferences, and generating content that help you learn about DevOps and Azure! 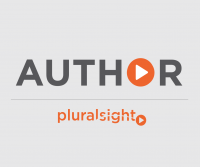 I liked your courses about TFS on Pluralsight. I am exploring TFS and it’s Git-abilities in more depth than just using it for version control. I do have a question. I have used TFSVC to create and maintain Project Collections and projects inside of these collection. Now, I am trying to move to Git with TFS. I am relatively new to Git. So, is there a way to create Repository Collection (similar to the Project Collection) with Git in TFS? I usually like to group my Repositories into groups which was fine with TFSVC but don’t really know how to do the same with Git. I did google on the topic but can’t say found any documentation or samples to go about doing it. Can you help me with a pointer to either a documentation or a sample please?